KATHMANDU, Jan 20: After doctors did not show any interest in working on contract at government hospitals outside Kathmandu Valley, the Ministry of Health (MoH) has come up with a plan to hire specialists for at least six months for working in the remote districts. According to MoH, the ministry announced vacancies for 79 posts of medical officers, 158 posts of consultant doctors, 25 of medical generalists (MDGP) and 22 posts of anesthetists on contract basis about three months ago. No one applied for general practitioner and only three applied for anesthetists. A total of 120 candidates applied for the 158 posts of consultant doctors. Among these, only 88 passed the interview but 55 later did not accept the contract letters as they were assigned outside Kathmandu Valley, according to officials at MoH. “We have now given them a choice among places outside the Valley,” said the officials. More than 300 candidates applied for the 79 posts of medical officers and the interview results are in the final stage, said officials at the personnel administration at MoH. Meanwhile, the Public Service Commission recently published the final results for 202 posts of medical officers and five dental officers to be assigned to different hospitals. However, the Supreme Court issued a stay order against appointing the doctors as they lacked the necessary documents. The candidates filled up their forms under the reservations quota but failed to submit the required documents, according to MoH. According to Minister Thapa, the ministry will coordinate with the Institute of Medicine (IOM), the National Academy of Medical Sciences (NAMS), the Patan Academy of Health Sciences (PAHS) and BP Koirala Institute of Health Sciences (BPKIHS) to send doctors to the districts under a first phase. “Specialists from government institutions will be sent to the districts starting from February 2,” he claimed. “We will use their services for at least six months, paying them for their time,” said Thapa. “We will ask them to propose their demands and finalize matters after negotiations,” he added, without divulging any details and the number of specialists available at the medical institutions. 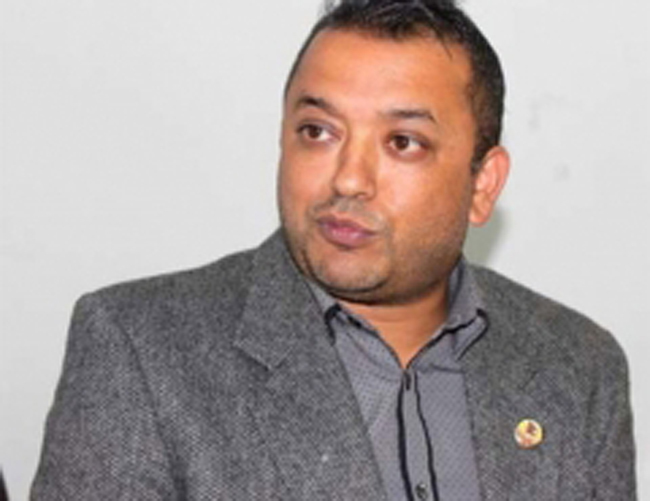 Minister Thapa further claimed that the government would seek help from private medical colleges for sending doctors to the districts. “We are in discussions with the private sector,” he added. Nepal Medical Council has records of some 17,000 doctors registered in the country. There are altogether 22 medical colleges and institutions including private ones. However, the private sector has expressed ignorance about any government communication on sending specialists to the districts. “We have heard about the matter just informally,” said Hom Raj Dahal, chairman of the Association of Private Hospitals and Institutions Nepal. “However, we are ready to cooperate with the government if it comes up with assurances on effectiveness and details of the modality,” he said. Dahal said they [private hospitals] have a social responsibility. “We are interested in solving the problems in the health sector,” he added.